I wanted to showcase more uses for the Joyful Christmas set from yesterday's post. I think this might be a new favourite. 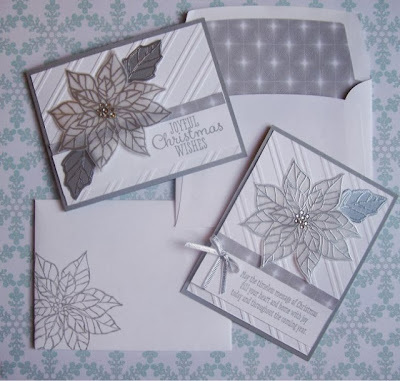 Check out these samples using Joyful Christmas, created by Janet Hill. I love how the cards and envelopes coordinate. To learn how you can make these gorgeous cards and coordinating envelopes, book your in-home party and I'll show you and your friends just how easy it is! To order the supplies to duplicate this, or any other project found on my blog, simply send me an email, call me at 289-280-0304 or shop my online store.